[social][/social][einset][/einset]Team Lloyd Irvin Black Belt Jay Hayes is a BJJ practitioner that has been doing Brazilian Jiu-Jitsu for over seven years. 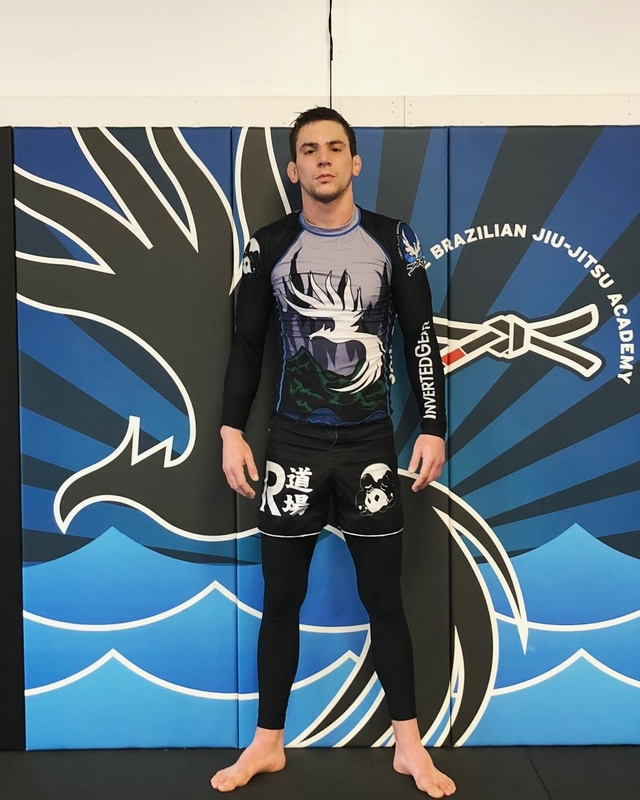 With a several wins in many tournaments and running one of the best schools in New Jersey (NJ United MMA-www.NJUnitedMMA.com), Jay Hayes is considered by many as one of the best American Brazilian Jiu-Jitsu Black Belts out there today. Aside from being a great competitor and coach, Jay has also been the training partner for many notable figures that you see ripping up the tournament scene today and has been quoted by Jiu-Jitsu phenom JT “Spiderman” Torres as the guy that has helped him prepare and win at some of the toughest BJJ tournaments such as: the Pan American Games and Brazilian Nationals. In this interview Jay provides the detail of what it means to be a good training partner. Monta: Being that BJJ is such a ”dependent” sport, what is the importance of having people to train with? Jay: Well, I think having good training partners is the key to success inJiu-Jitsu. It’s good to have partners that have different body types as well as different physical attributes that will help you reach your highest potential. You can’t play the same game against a 150 lb guy as you would against a 250 lb guy, so this will challenge you not only physically, but also mentally. Strategy is a huge part ofJiu-Jitsu, and understanding what the most efficient way to grapple against all these different body types is very important.Jiu-Jitsu is a lot more than just random techniques that result in you tapping someone out, it’s a comprehensive style based on technique and theory. Monta: When it comes to choosing a main training partner, what are some of the traits you look for ? Jay: As far as having a main training partner, it has to be someone that has a solid all around game, someone that is dangerous from all positions. On top of that they have to be a good person, someone that you can trust. You’re going to be training with this person more than anyone else and you will know each other’s games inside and out. You will be rolling when you are healthy as well as when you’re injured. Having a good training partner that can work around injuries is key. I don’t think I’ve ever trained for a big tournament and not had some sort of injury during training. This is just a part of the game, we all have been there and fought through the pain. But, the last thing you want is to have a bum knee, and have a guy jumping on kneebars or cranking heal hooks right after you told them how you twisted your knee training the day before. When you think about it, we have each other’s physical well being in our hands every day. One mental lapse, one irresponsible decision, one out of control ego, and the result can be a terrible injury. Monta: When training for a tournament, is there a different approach you take when picking specific training partners to help you train for an event? Jay: When I’m training for a tournament I definitely look for different training partners to work with. If I am competing only in my weight class then I tend to keep my training partners around my weight. I compete at 167.5 lbs in IBJJF competition, so I try to keep my training partners under 200 lbs if possible to reduce the risk of injury. If I’m going to be doing the open class, then I will definitely train with everyone, no matter the size. It’s also important to work with all different levels of training partners. I try not to limit myself to only training with other black and brown belts. Having tough purple belts around can also be a huge asset when training for competition. You will be able to work different parts of your game that you would not be able to with another black belt or high level brown belt. Monta: What about when it comes to training no-gi? Jay: If it is a no gi competition then I will try to work with wrestlers not only for the takedowns, but also for the pace that they like to maintain. I’ll also try to work with guys that attack leg locks because they’re much more common in no gi grappling, and those guys will keep you aware of where your feet are for sure. Monta: What about when it comes to training in the gi? Jay: As far as training for gi competition, I like to work with guys that have a very grip dependent game. This will force me to really have to use my technique when training and focus on my positioning. I’ve always preferred no gi, so keeping my grips sharp is very important if I’m competing with the gi. Monta: What about helping someone train for an MMA fight ? Jay: I’ve always been up for putting the gloves on and doing some MMA training. I actually love training MMA, it’s fun to apply your Jiu-Jitsu when you are getting punched. I recommend that every Jiu-Jitsu practitioner train MMA for some time before they achieve the rank of black belt. Monta: Is there a different approach women in BJJ use concerning this matter? Jay: I think when it comes to women looking for a main training partner they have to look for the same traits in someone as men do. It’s probably a little more difficult for women to find reliable training partners, because there are fewer women inJiu-Jitsu. And there might be some men out there that have egos that don’t allow them to be good training partners. But the numbers are surely growing. Every year the women’s divisions in both local and international tournaments get bigger and bigger, and there are so many talented women out there. Monta: Who has been your favorite training partner in the years you have been doing BJJ and why? Jay: I have had a lot of great training partners throughout the years but my favorite training partner throughout my time in Jiu-Jitsu has been JT Torres. 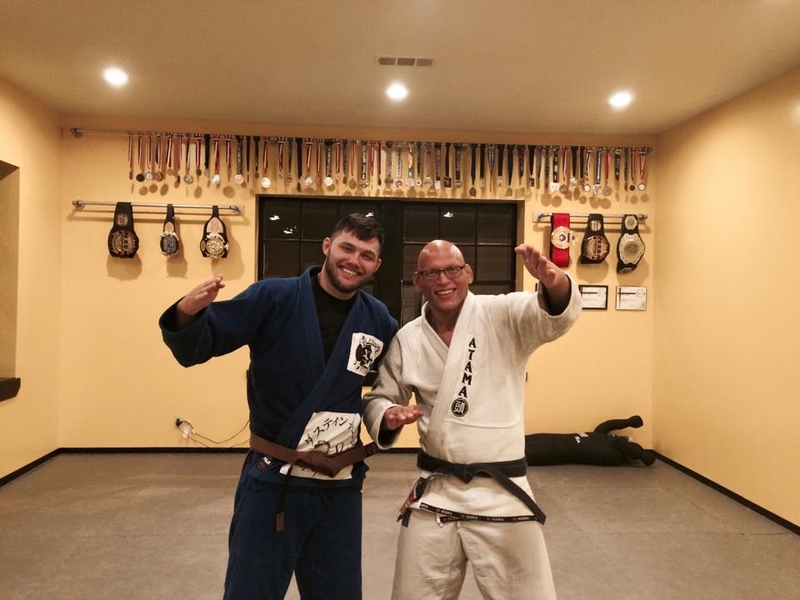 He helped me grow as a Jiu-Jitsu practitioner and really expanded my game. He forced me to work on positions that I was not so confident in because he was able to exploit those weaknesses. He is also a very driven person and he has a desire to win like no one else I have ever seen, he definitely pushed me to compete to the best of my abilities. Whether it was on the mat or in the weight room I had to really push myself to try to keep up with him. On top of that he’s a great kid too, he’s mature well beyond his years, mostly because he comes from a great family. His father, Will, is a great guy, he was there for every practice and drove him to every tournament since he started training. JT and I were blue belts together, I’ve known him for like 6 years or so, since he was like 14 or 15. I was at his high school graduation, and I watched him go from a blue belt in the gym to one of the best black belts in the world. He really has amazing Jiu-Jitsu and I’m really looking forward to seeing him win a World Championship in Brazilian Jiu-Jitsu. We received our Black Belts in Brazilian Jiu-Jitsu together from Master Lloyd Irvin and Jared Weiner.We don’t get to train as much because he spends most of the time in Maryland training with Master Lloyd and I have been busy starting my gym. But I’m still happy whenever we get to train together when he is in New Jersey, to see what new stuff he’s working on. Monta: Now at most academies it is normal to have egos flare up at times, how important do you think it is to “leave your ego at the door” ? Jay: Checking your ego at the door is the most important thing in the beginning when learningJiu-Jitsu. Having an out of control ego will create problems between training partners within the gym. I have been fortunate enough to never really have to deal with too many egos in my time training. At my gym I try to create an atmosphere where everyone is helpful and tries to build one another up. I really stress the team aspect of training and I think my students definitely follow through. I have a great group of guys training under me, I’m very lucky for sure. I think this is the responsibility of the instructor, you have to create the atmosphere that your students train in. If your gym is filled with a bunch of head-hunters, guys that just want to hurt people, then the problem probably originates from the instructor. If someone comes in and doesn’t respect his training partners, they usually don’t last long at my gym. They get humbled quickly. That’s one thing I don’t have tolerance for, if someone is a bully I make sure to address the problem myself. Monta: In your experience Jay, What is your definition of a bad training partner ? Jay: I really haven’t had many bad training partners, but I could give you my opinion of what I think a bad training partner would be. I think it really comes down to who you surround yourself with. If you have a bad seed in your crew, then you have to cut them off. I try to surround myself with good people, and that goes for Jiu-Jitsu and life in general. Misery loves company, you know. Now a bad training partner is someone who is selfish and who only looks out for themselves. When it’s time to compete the bad training partner wants to train and wants you to help them. Then once the tournament is over they disappear and when the next tournament comes around and you want to compete and they are not they are nowhere to be found. The bad training partner is the person that doesn’t respect their teammates on or off the mat. This person is the cause of a lot of the problems in the academy. They create a division between the team, and even though this is an individual sport when you step on the mat, it’s a team game for the entire time you spend training leading up to the competition. Monta: What about a training partner who constantly injures people (commonly known as the spaz)? Jay: Well, this is a great question and I have my own opinions on these guys. Every gym has them, and everyone has their own feelings about this type of student. I’m going to give you two completely different answers first as an instructor and then as a competitor. As an instructor, if I have a student that constantly injures people then I would probably first consider them just learning more technique and not sparring yet, until they have more control which should be the case for all new students. If it is something that is just part of who they are, I will try ways to get them to be more controlled like making them train at 50% with the intentions of making them better in the long run. It is unavoidable, this type of guy is at every gym, and it doesn’t mean that they are necessarily a bad person. In fact, they are usually some of the nicest guys you will meet. They just have one speed and that’s 100 miles an hour. In all as an instructor I look at it as a challenge. Now as a competitor, I feel that this type of guy is completely necessary as far as a training partner at some point when you are training Jiu-Jitsu. You have to be prepared for all types of opponents and deal with the unknown because chances are, you will see this type of guy in a tournament. That is part of being a complete Jiu-Jitsu practitioner. Does that mean you might catch an elbow in the face from time to time? Absolutely. But you have to experience this to know how to deal with it. Monta: Being that you have been a great training partner to top notch guys like JT Torres and other accomplished grapplers, what type of duty do you think you must uphold as a training partner in regards to helping them get ready for a tournament? Jay: I have been very fortunate to train with some great athletes. For me I try to do whatever I can to help them get ready to compete. I’ll always give 110% during the training to get them ready. I have always preferred training no gi, but if a training partner is competing with the gi, then you wear the gi to help them. As far as helping a training partner train for a certain opponent, then I’ll try to mimic the style of that opponent as best as I can. For my weight class I am pretty tall so my height and flexibility allows me to mimic some of the flexible guard players who have a style that can be difficult to deal with. So I can play that game and try to pose similar problems for my training partners. It’s kind of like an actor getting into character for a movie and becoming that person that they are playing, even if it is a role that they are not used to playing. In the past I have done this a lot when helping guys train for certain opponents. Monta: At some gyms, there are instructors that don’t emphasize the importance of teamwork , as a instructor yourself what type of lessons do you instill in your students about the importance of teamwork ? Jay: Well I think the main thing is to lead by example. If I were to tell my students to be respectful of new students and to always try to help each other, and then when they saw me train with people and all I did was smash them, then I would be contradicting myself. So I try to create that atmosphere by leading by example, and I think it works. I have had numerous students tell me stories of how nervous they were before they started training and how relieved they were when they were treated with hospitality. They tell me how they had no idea what to expect the first time they came into the gym. They were expecting a bunch of meatheads that were going to try to hurt them. But this couldn’t be any further from the atmosphere at my gym. I pretty much have a smile on my face all day, and it rubs off on the students. I mean when you think about it, I have the best job in the world. I do something I love every single day. Not only getting to train Jiu-Jitsu, but also seeing people learn and grow asJiu-Jitsu practitioners. I’ve met so many amazing people and had so many experiences that I would have never had if it had not been forJiu-Jitsu. I think all of my students feel the same way as well. We all genuinely love this martial art and it shows. Monta: Lastly do you have any advice to all the grapplers out there that we did not cover concerning this topic ? Jay: My advice would be to seek out good/quality instruction. As the consumer you should educate yourself on the gym as well as the instructor. If the instructor has no credentials to back up what they are teaching then you have to really question whether they know what they are teaching. If you are looking to compete then find a gym that has competitors that have success in tournaments and an instructor that has experience as well. Get a feeling of the atmosphere in the gym before you join, if people are helpful and sincere then that is a good start. This is whether you are looking to train to compete or training as a hobby. Find the gym that best fits your personality. If you keep this in mind then already you are surrounding yourself with like-minded people. Train hard, always treat people with respect and they will do the same to you. Monta: Before we wrap up this interview, I want to give you this time to give any shout outs ? Jay: First I would like to thank my parents and my family for giving me their support to start my own academy, even though it wasn’t what I spent 5 years in college for. haha. I’d also like to thank all of my students at my academy that stuck with me, no matter where I was teaching. I have a loyal group of great guys that I consider my family, I wish I could name all of them. The best team in the world Team Lloyd Irvin, Master Lloyd and Jared Weiner, all my training partners throughout the years. I have been very lucky to have great people around me since the day I started training. I’d also like to give a shoutout to, Ronnie, the Georgiades family, Danny, and Harley for their help and everything they’ve done for me. And of course I have to plug my academy, NJ United Mixed Martial Arts in Wayne, NJ. www.NJUnitedMMA.com. Monta: Well that wraps things up. Thank you for your time Jay. Jay: Thanks Monta, now I have one question for you. When are you going to come to the east coast and train???? Don’t be a stranger. haha. Take care.